All that Jazz is a 5" heavy weight beauty queen. 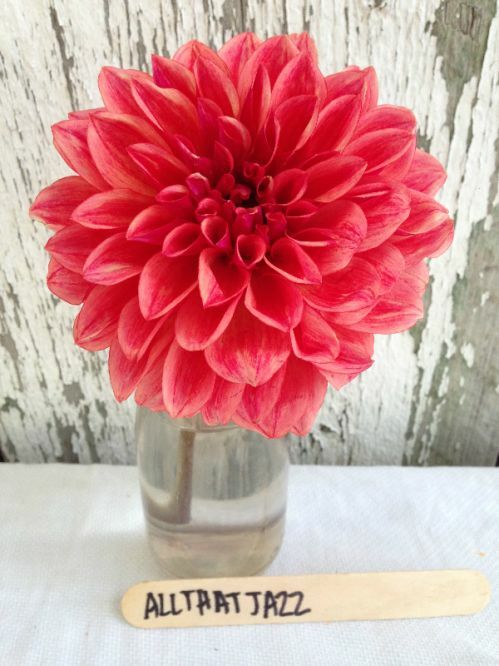 Definitely, one of our most popular dahlias we grow. It boasts a dynamic color range including tones of orange,apricot,pink and red and perfect form for all design applications.